I went out for a walk on the beach with the kids tonight, they played in the park while I sat in the sand dunes and made some notes for a speech I will be giving next week. . 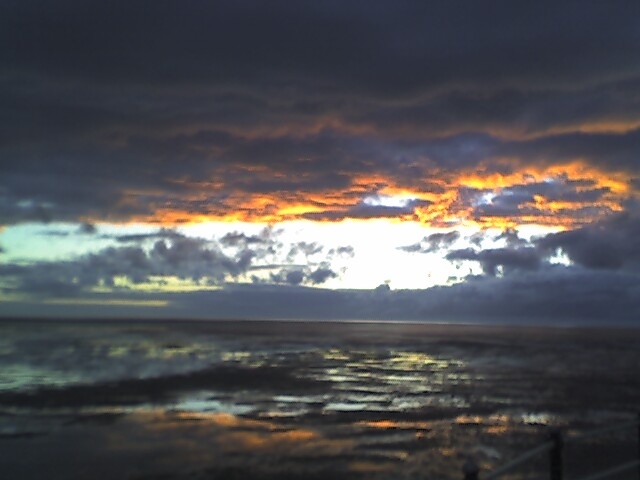 When I finished we walked along the promenade and watched this glorious sunset! We get a lot of great sunsets here, but this one was pretty special because of the reflections on the wet beach and the clouds.